The accommodation is absolutely quiet in the forest and is ideally integrated into the Ahrntaler mountain world. The house is very suitable for families and groups (up to 7 people). The ground floor has a cozy old styled guestrooms and a lounge with satellite TV. The kitchen is new and equipped with dishwasher, stove with oven, coffee machine and washing machine. From the lounge there is access to a wonderful porch that turns into the warm season in a magnificent dining area in the countryside. There can be used at your own risk of in-house barbecue. The first floor is reached via an internal wooden staircase. The lying there 3 bedrooms have direct access to the balcony and another porch that invites with its cozy seating area to relax and rejuvenate in the summer. The bathrooms have undergone in autumn 2016 a complete renovation! 2-3 parking spaces are available in front of the house. A supermarket (100 meters) and various restaurants are in the immediate vicinity. 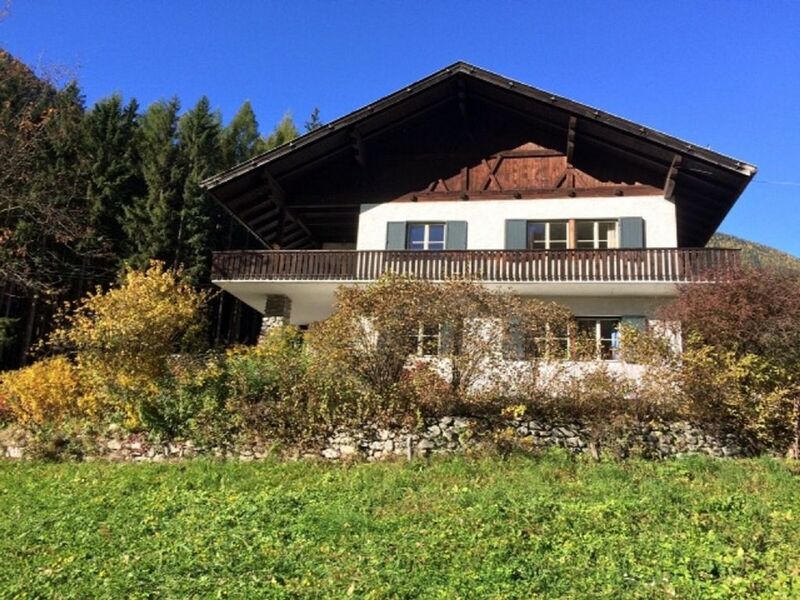 The house is the ideal starting point for all kinds of activities in nature, both in summer and winter, and the Ahrn Valley has a lot to offer. The house is a NO SMOKING DOMICILE. For children under 2 years the accommodation is NOT SUITABLE. In summer the Ahrn Valley invites 350 km of well-marked hiking trails to scenic strolls in the beautiful forests and demanding tours on numerous mountaintop one. It is an impressive experience to defeat one of the 80 three-thousanders, which enclose the Ahrntal. Unforgettable is a peak experience with 360 ° panoramic view! Even cyclists get their money: beautifully landscaped bike paths meander through the valley and challenging mountain bike routes lead through fragrant forests and lush green meadows. More than 60 mountain huts invite you to cozy rest. A special attraction is certainly the "Alpine Coaster" Klausberg, South Tyrol's longest summer toboggan run !! In winter, the hotel is ideal for all snow enthusiasts. The nearest ski SKIWORLD AHRNTAL (Klausberg / Speikboden) can be reached by car in 2 or 8 minutes. The Kronplatz ski resort is about 30 minutes away by car. Cross-country skiers, snowshoers and hikers get their money. Similarly, there are around toboggan runs and an ice rink. Most starting point for all summer and winter activities can be easily reached by bus. The next stop for this is located only 100 meters away from the property.